I used to enjoy a moderate hike: escaping into the beautiful mountains for a while, breathing in the dry pine-filled air, knowing I was getting some exercise. However, once I moved to the city–downtown to be specific–I no longer have the desire to do such activities. I don’t want to sit in the car for a long drive out to the middle of nowhere to find a good trail. I loathe the idea of putting something other than ridiculously tall sandals or my beloved Frye boots on my feet. It’s just not something I’m interested in any more. My place is on the sidewalks, strolling from one establishment to another, people-watching on patios as I sip a great craft beer. That is my idea of a perfect day. But when I heard about a Smores Stout at Wild Woods Brewery in Boulder, I had the sudden urge to get back to nature. I love a good, interesting stout. Something with a creative twist, a distinct flavor. 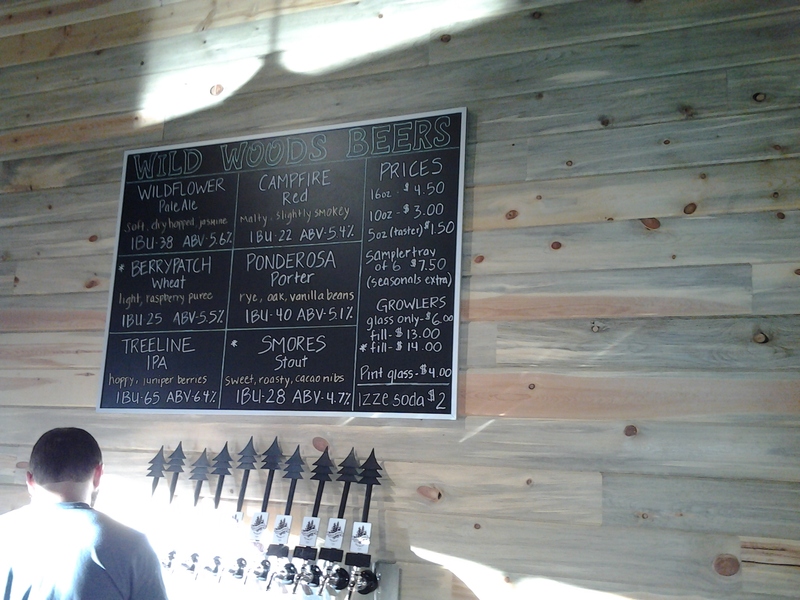 It was the Smores Stout that gave me the extra push to go to Boulder and try out Wild Woods. And it did not disappoint. In fact, it was pretty much heavenly. One of the best stouts I’ve had in a while, for sure. I ended up sampling all six beers they had on tap that day, but to me the stout was the clear winner. 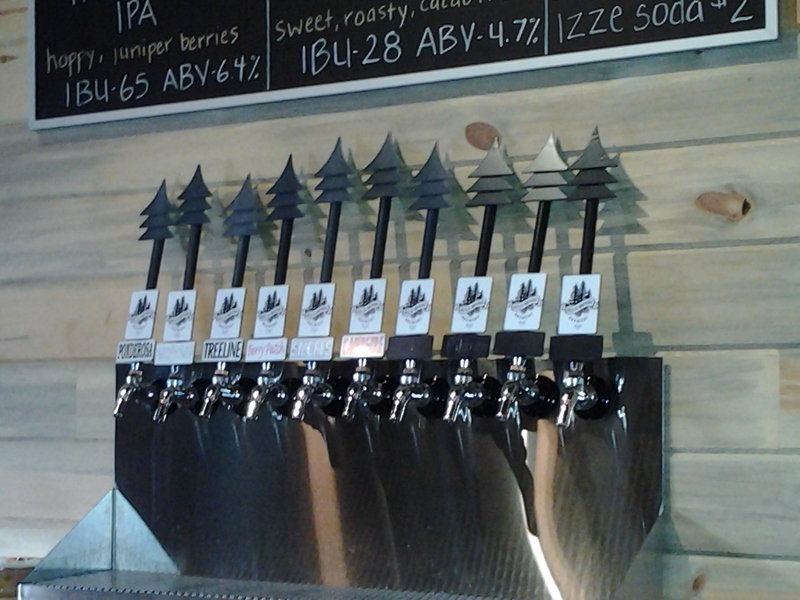 I also thought their Treeline IPA was excellent (I know–surprising that I would like an IPA, right?). The Wildflower Pale was one of the better pales I’ve tasted; while pales aren’t normally quite hoppy enough for me, this one was definitely up there in the hops department. The Campfire Red was pretty good but nothing special. I’m not a wheat beer fan, so the Berry Patch Wheat wasn’t really my thing, though it did have lots of fresh berry flavor so I would absolutely recommend it to anyone who likes wheats. 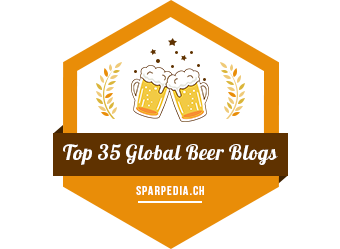 And the Ponderosa Porter, made with whole vanilla beans, was definitely full of vanilla–it completely overpowered all the other characteristics of the beer. If they cut back on the amount of vanilla, I think it would make a phenomenal porter. 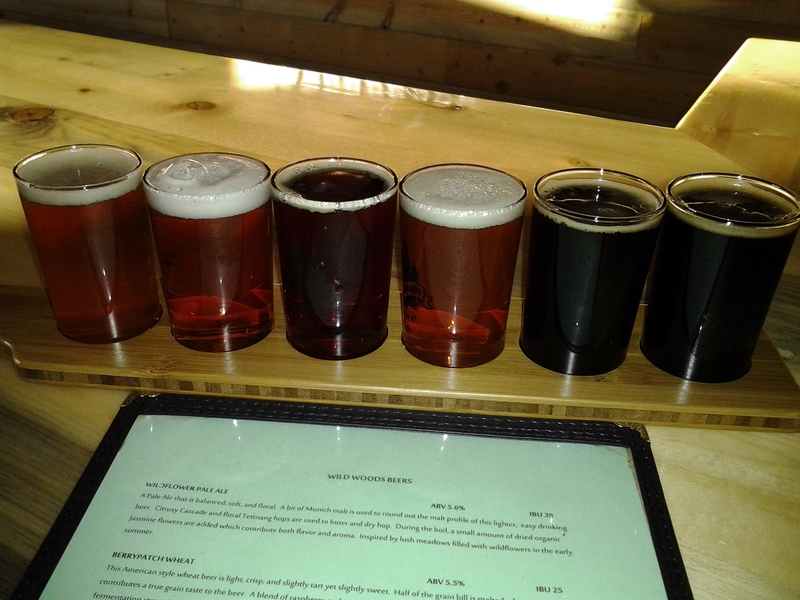 But overall, the beers at Wild Woods are very good. They seem to have something for everyone, except maybe a Belgian or a sour (which is more than fine with me). These six styles of beer represent everything that I personally feel a brewery should offer. And the fact that I loved the IPA and Stout–my two favorite styles–makes me adore this place even after only visiting it once. I enjoyed checking out Wild Woods and plan to go back in the near future. It is a nice tap room with some very quality beers. I recommend starting with a sampler and trying them all; they are sure to have something you will love! 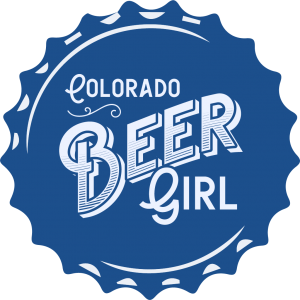 Previous Post Colorado Brews: Pilot Date Announced! 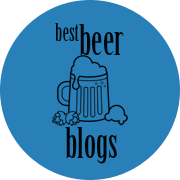 Next Post Avery Brewing: Tap Room Exclusives are the BEST!